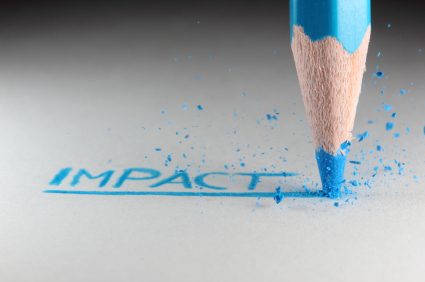 Impact is defined as – “the effect or impression of one thing on another.” What impression have you made on others? What impression or effect have others had in your life? The possibilities for making a positive impact are endless! Since our accident over two years ago (the impact of which is still being felt), numerous people have had a positive impact on my life. I in turn have attempted to have a positive effect in the lives of others. Making a choice to have a positive impact gives meaning to life and is a tangible way to give back some of what you’ve received from others. impact it has on other lives. Below you will find the ABC’s of making a positive impact on others. You can add your own to this list I’m sure! I offer my list as a way to stoke the fire of your impact and be encouraged to find practical ways to make an impact today! Don’t give up just because life is hard – it helps others to do the same! Yard work done for you when you can’t do it has a huge impact! How has your life been changed by the impact of others? What can you do today to have an impact on someone else? This entry was posted in Abundance, Adversity, Attitude, Character, control, dreams, Endurance, family, friendship, gratitude, Growth, Heart, Hope, learning, Opportunity, Optimism, Perspective, purpose and tagged abundance, adversity, appreciation, attitude, character, expectations, forgiveness, friendship, gratitude, learning, motivation, opportunity, optimism, purpose, recovery. Bookmark the permalink. You have had a profound impact on me with your courage and determination. You are the coach extraordinaire! !